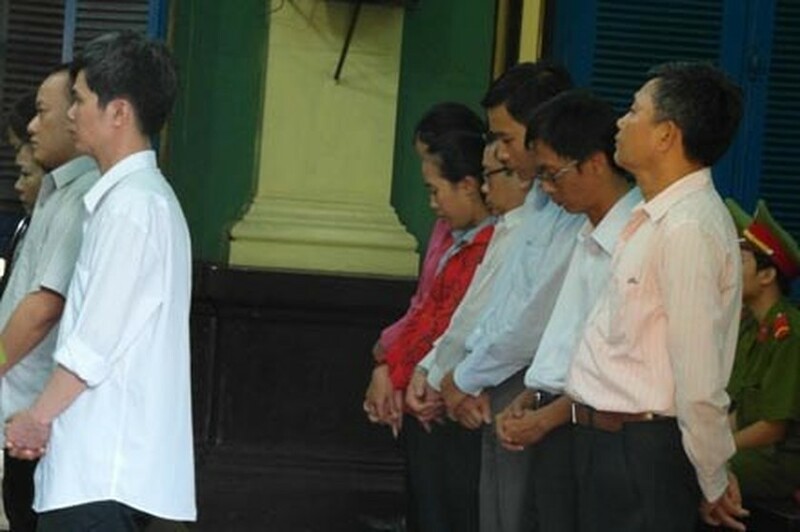 The People’s Court in Ho Chi Minh City on January 22-23 passed prison sentences for 36-year-old Bui Quoc Vinh and 41-year-old Nguyen Anh Tuan for embezzling and counterfeiting seals and documents of authorized organs and misappropriating VND6 billion (US$288,000) of social insurance money. Bui Quoc Vinh was sentenced to a 20 year jail term while Nguyen Anh Tuan received 12 years, both for embezzlement, counterfeiting and misappropriation of funds. Nguyen Thi Hoa, former deputy director of Social Insurance Agency in Nha Be District faces 15 years in prison; while Do Phuong Anh and Hoang Duc Thuat, former staff members at the Agency, were sentenced to 14 year prison terms and two year probation for embezzlement. 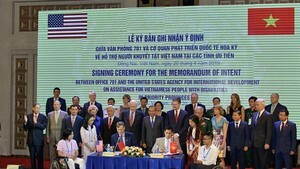 Nguyen Hoang Anh Tuan, another former staff at the Agency, received five years in prison for embezzlement and irresponsible behaviour leading to serious consequences. Tran Thach Hong, former director of the Social Insurance Agency, was sent on three year probation for irresponsible behaviour leading to serious consequences. Besides them, three other people also received non-custodial reform penalty or probation for six months to one year for trading social insurance books and documents of State organs. In the court, Vinh and Tuan admitted that they had purchased social insurance books of several workers who did not complete procedures to receive premium, and counterfeited documents to appropriate the money. Vinh then connived with Hoa, Anh, Tuan and Thuat to wrongly increase the time period of paying social insurance and also made changes to the premium rates. The accused misappropriated a total of VND6 billion from the Social Insurance Agency in Nha Be District.